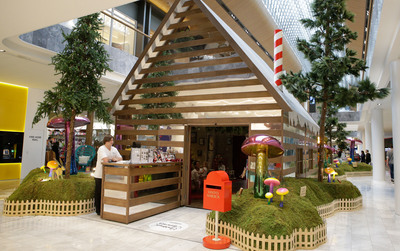 If you intend on taking the kids to see Santa this year, might I suggest a visit to Eastland Shopping Centre in Ringwood? Even if you don't live close by, a visit to Eastland is well worth the journey when you see this year's festivities. Eastland's Christmas 'Sensorium' consists of festive delights scattered around the shopping centre and Town Square. The woodland theme is back again, with those wonderful luminous mushrooms that I can't quite get enough of. This year also sees the centre decorated with huge 3D printed Sensory Bells, a Crystal Snow Storm and fun Christmas Glade photobooth where you can capture your family in an emailed GIF to share with your loved ones. 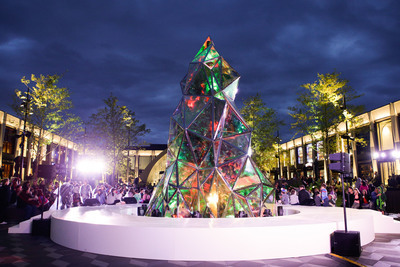 The Town Square once again hosts a giant eight-metre-high crystallised Christmas tree, with a nightly light show throughout the season to entice families to enjoy the Square for an evening picnic or to dine out at one of the many alfresco eateries. 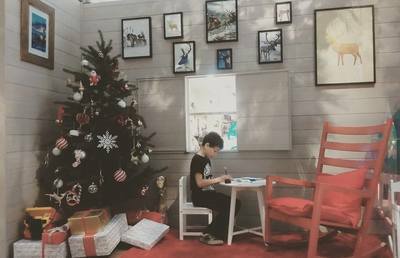 At Kids Valley your children can immerse themselves in a haven of festive crafts, bringing to life their very own gingerbread friend or adding glitter and ribbons to your next family heirloom ornament. 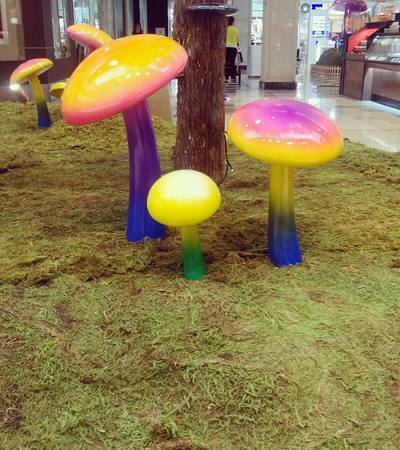 But really, it's Santa’s Grotto that really stands out at Eastland Shopping Centre this year. The mirrored Grotto itself is the same as last year's space, but has added extras such as postcard service for your kids to write gift wish lists and post in Santa's mailbox. The big man himself makes an appearance every day, ready to chat to your kids about the upcoming festive season and what they might like for Christmas this year. Naturally, that also means photo opportunities with take home prints starting from $20.95. Once again, Eastland offers Sensitive Santa; an opportunity for children with special needs to book in with a visit to Father Christmas during a quiet, low stress environment. 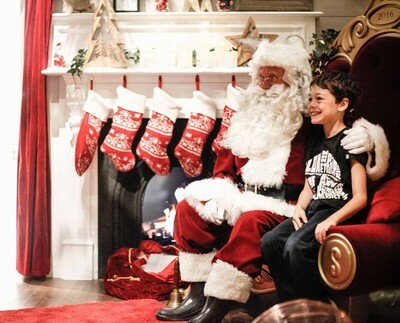 To book a Sensitive Santa session, please email Guest Services on guestservices@eastland.com.au or 9870 8377. Visit Eastland Shopping Centre this Christmas to fulfill all of your shopping needs, and get the kids excited for the upcoming festive season. Go to www.eastland.com.au to find out more.